So if you’ve followed my advice and you’ve planted an enormous bed of garlic, how do you know when it’s ready? And what do you do with it when it is? 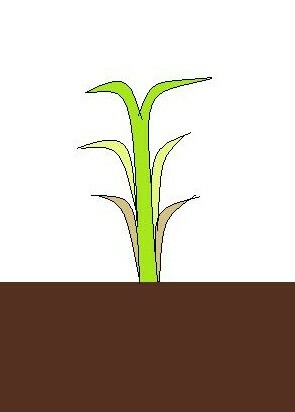 We consider our garlic ready when the bottom third of the leaves turn brown. My rendition of a “ready” garlic plant, as I forgot to take pictures. 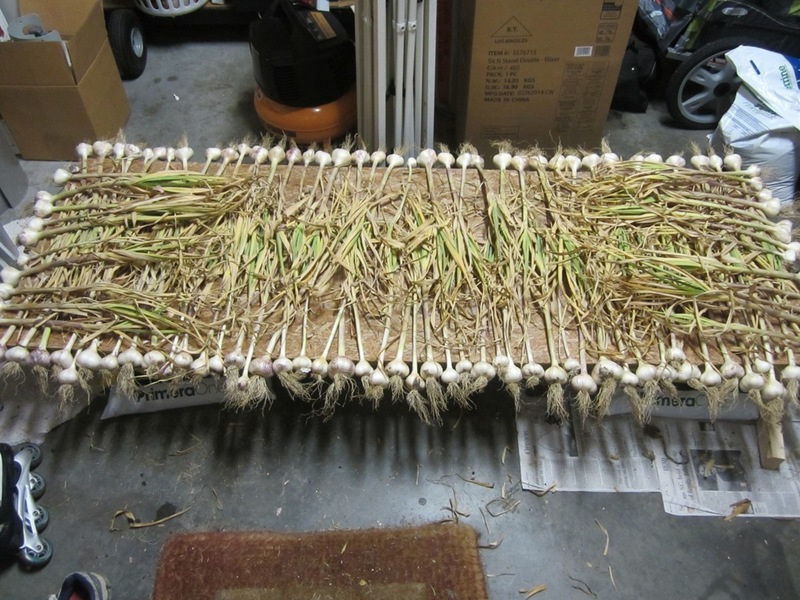 After curing in the sun for a few days, we move the garlic to the garage, spread it out, and aim fans at it to continue the drying process away from possible storms. You will also want to take the time to brush off as much dirt as possible, even if this includes gently peeling away the driest outermost layer of paper. 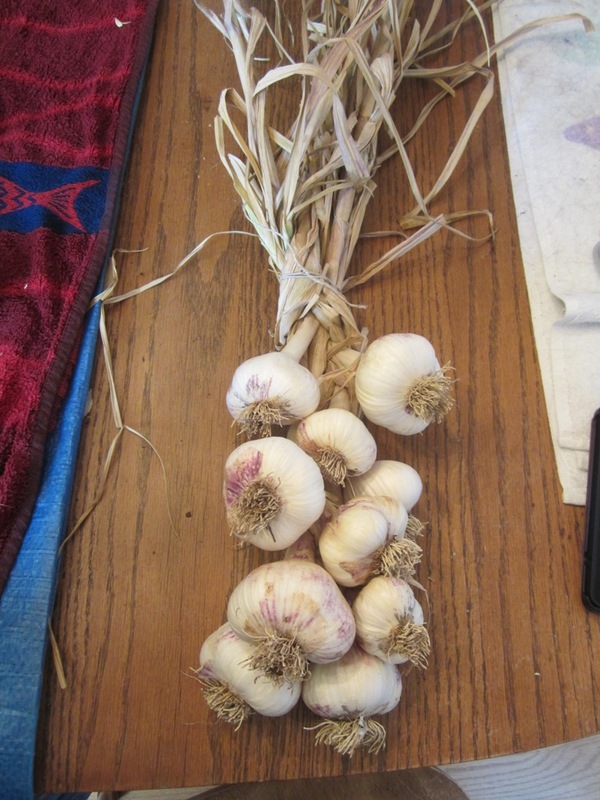 You can also trim the roots, either at this point or when you’re getting ready to braid your garlic. After about two weeks, your garlic is ready to braid for extended storage! I seriously contemplated taking step by step pictures of the entire process for you guys. But the website where I’ve gotten my instructions (Bloomingfields Farm) has a phenomenal how-to guide, complete with pictures, so I figured you should just check them out. I did have to refresh my memory this year as to the whole process. And I re-refrenced the how-to guide each braid I made. This year was the first time I decided to follow their advice and soak the garlic stems to make them more pliable for braiding. This added quite a bit of time to the process, but I have to say that it really does make a huge difference in the ease of braiding. And your stalks fray less as you’re working with them. I only soaked the stalks for 20-30 minutes, but if I had the patience to soak them longer, I think I could have gotten a more tightly braided finished product. Additionally, if you’ve read the how-to instructions and you’re tempted to skip the step of making a Starting Knot – don’t. Your braid will just unravel from the bottom up and then all of your hard work will be for nothing. If you really don’t want to go through the trouble of making a starting knot or you don’t have any heads with thin/pliable enough stalks for this step, you could put twine around the bottom and the top of your braid. I can only manage to get about 10 heads of garlic in a braid before it gets too unwieldy for me to continue. I have no idea how people can make wreaths with, like, 40 heads in them, but I can see how they would charge a lot of money for such a wonder once it was created. And once all of the heads are braided up, just find a nice place that’s cool and dry to store them. We use our guest bathroom upstairs and make an effort to run the vent fan intermittently to make sure it stays dry. The garlic from last year lasted until we ran out of it (rather than it spoiling), which was probably 10 months give or take a few weeks. And we use a lot of garlic in our cooking. 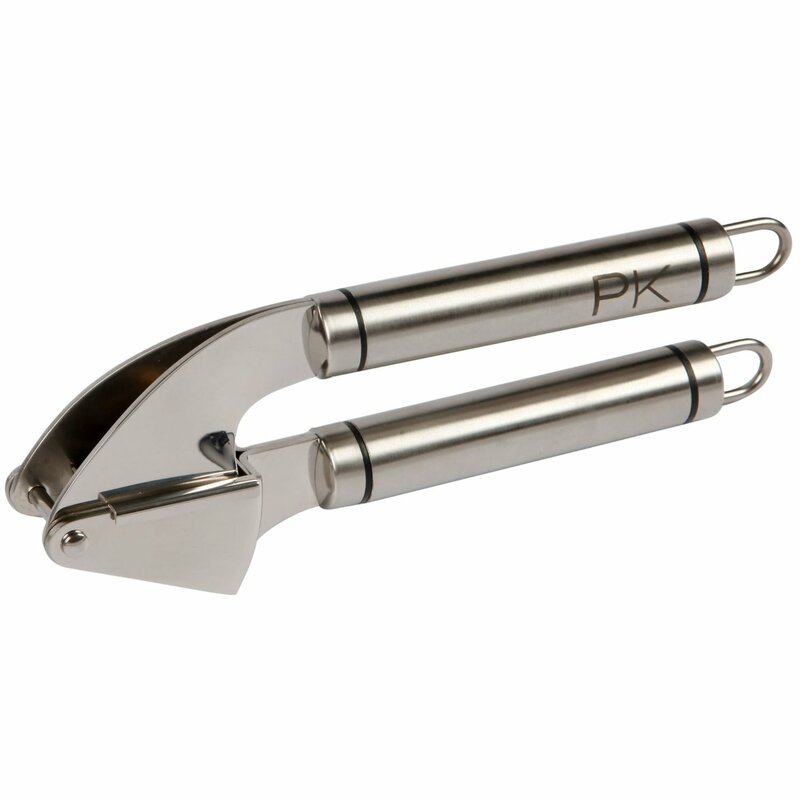 And if you’re going to have that much garlic to use, you should really invest in this garlic press. I worked in restaurants for years, so I’m perfectly capable of mincing garlic by hand. But this press is amazing and something that I’m not quite sure how I ever lived without. It’s also pretty handy for mincing ginger as well. 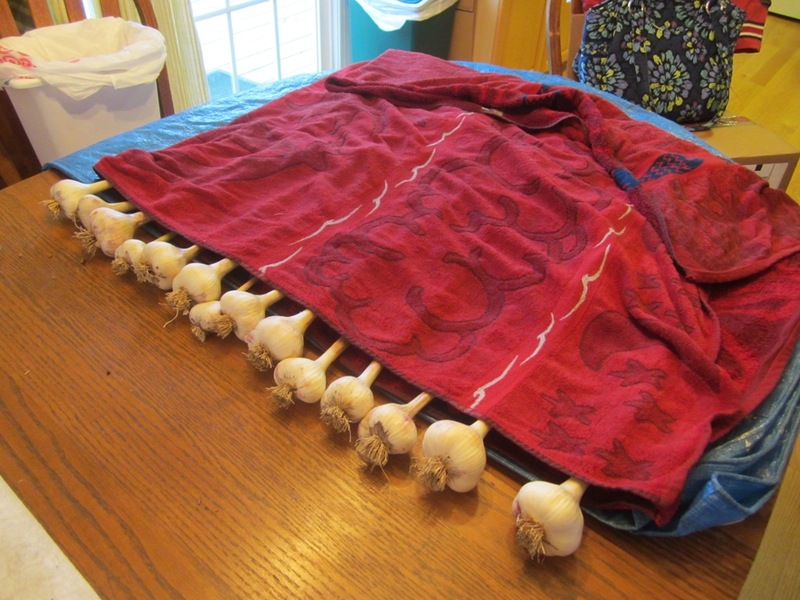 This entry was posted in Gardening and tagged DIY, Food Storage, Garlic by BrewsterMama. Bookmark the permalink.